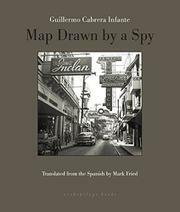 A geography of disillusionment as limned by the noted Cuban writer (Guilty of Dancing the Chachachá, 2001, etc. ), once a stalwart of the Fidelista revolution. An exile’s plainspoken testimonial, bookending Orwell’s Homage to Catalonia in the literature of political disappointment.